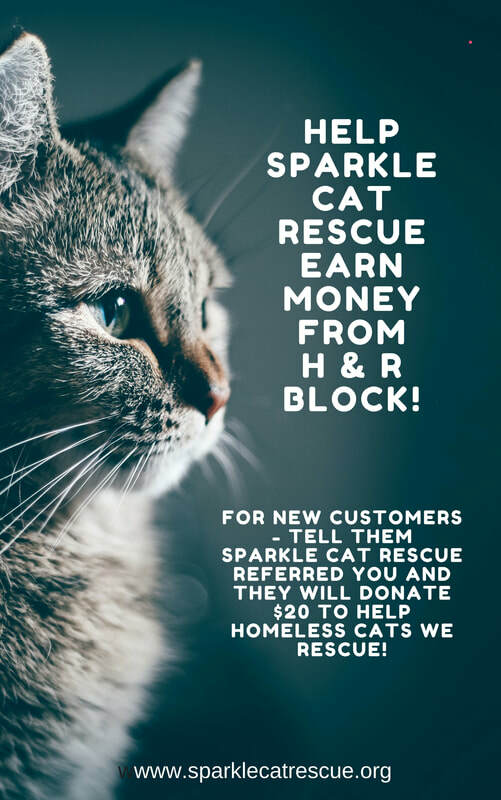 Sparkle Cat Rescue has partnered with H & R Block's Nonprofit Referral Program to raise money for our rescue. 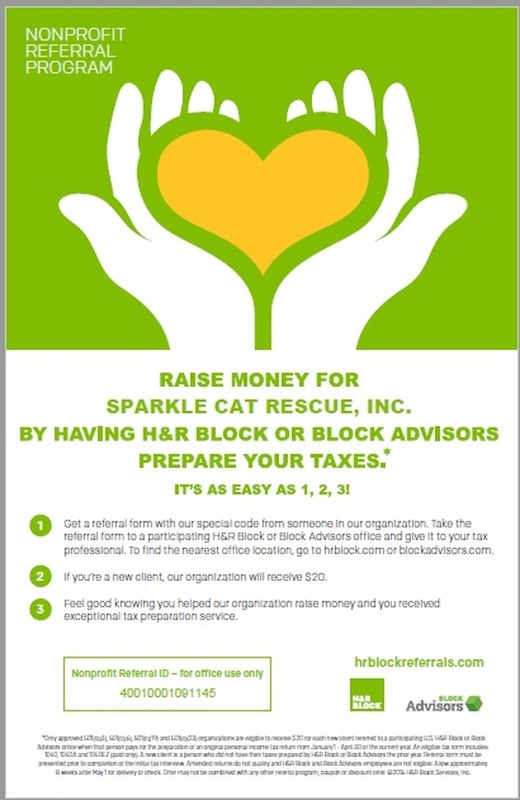 Take this referral form to a participating H&R Block or Block Advisors office and give it to your tax professional. ​To find the nearest office location, go to hrblock.com or blockadvisors.com. ​and we will email you the document in a format you can open.